Save the Date #GivingTuesday, November 28th! For Giving Tuesday 2017, we’re raising funds for a new initiative: Haiti X New York. 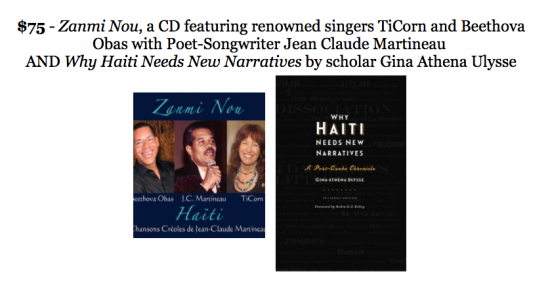 HCX takes great pride in providing a platform for Haiti-based artists in New York City. Haiti X New York is our effort to bring even more emerging and legendary talents from Haiti to present their work, engage with Brooklyn Diaspora youth, and connect with our local community of artists. #GivingTuesday is a special call to action. 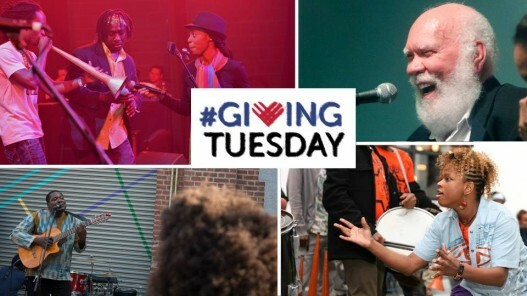 Your donation on #GivingTuesday will help us reach our goal of bringing at least six Haiti-based artists to present their work in New York City during 2018. Starting at 8AM on #GivingTuesday, November 28th, donations made to Haiti Cultural Exchange on Facebook will be matched by the Bill & Melinda Gates Foundation. This means you’ll be able to DOUBLE your contribution through our Facebook donate button and Facebook fundraisers on this global day of giving. A total of $2 million in matching funds is being shared with nonprofits raising money on Facebook. These funds are limited. Donate early at 8AM to make sure your donation is matched before these funds run out! Go the extra mile by starting your own Facebook fundraiser! Add your fundraising goal with a 12/31/17 end date. The “Why are you raising money?” section will be auto-populated with info about HCX and Haiti X New York. Feel free to add your own personal flair! Upload a cover photo. You can use the Haiti X New York image or another photo of your choice. 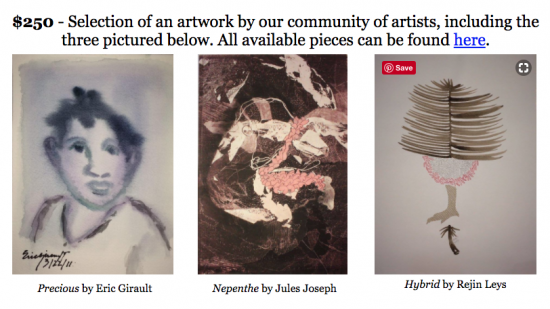 Click “Create” to publish the fundraiser. The total amount you donate or raise via Facebook on November 28th can be applied to claiming one of the #GivingTuesday “Thank You” packages below! While donations at any and all amounts will be a meaningful contribution to Haiti X New York, supporters at the following five levels will receive special perks. We appreciate you! RSVP on this event page to keep updated on how your donation on November 28th will make a difference! This entry was posted on Thursday, November 9th, 2017 at 11:58 am	and is filed under Uncategorized. You can follow any responses to this entry through the RSS 2.0 feed. You can leave a response, or trackback from your own site.